The Tenant Farmers Association have put out a strongly-worded press release about the hard-line approach being taken by the Crown Estate on rents. The full press release is here. The thrust of the TFA’s message is that the Crown Estate seems to be interested only in exacting the highest rent possible, whatever the consequences, and that this is pushing tenants into unsustainable positions. It is hardly surprising if tenants – whether of the Crown or any other institutional landlord – are feeling nervous at the moment. Land prices are at their highest. As the TFA says, open-market rents being tendered are eye-wateringly high. Vacant possession, whether with a view to re-letting under an FBT or selling, must be an attractive prospect for most landlords. 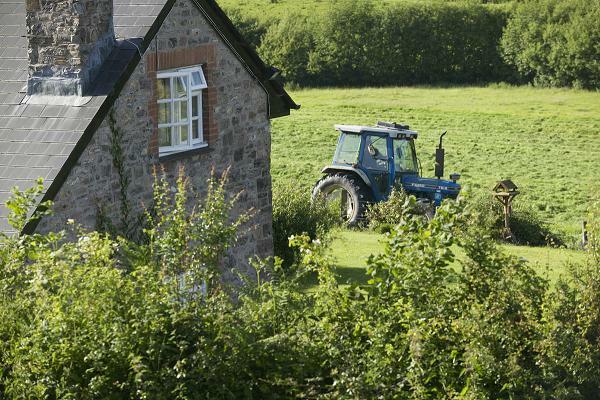 The current climate makes it vital that Agricultural Holdings Act tenants are meticulous in following the rule book. ﻿﻿﻿﻿﻿﻿It should go without saying that it is inviting trouble to miss rent payment deadlines. If you fail to pay rent on time, the landlord can serve a formal Notice to Pay. Miss that two-month deadline and – even if you are only a day or two late – you don’t have a leg to stand on. To put that in legal-speak, the landlord can serve an incontestable notice to quit. All the tenant can do is demand arbitration on whether the rent was properly demanded and paid on time. And if the answer to the first question is yes, and to the second is no, that’s it - the loss of the farm. Or, if you’re lucky, a farm business tenancy at a significantly higher rent, making it even more of a stretch to meet payments. The same goes for succession. Gone are the days (if they ever existed!) where succession to an AHA tenancy was nodded through without many questions asked about the successor’s sources of livelihood or occupation of other land. Tenants can now expect rigorous assessment of every aspect of their application. ﻿﻿And, yes, as specialist agricultural lawyers we would say that wouldn’t we! But seriously, the rules may not be much fun; losing your livelihood and your home, and the opportunity to pass that on to the next generation, is no fun either. It's a disaster. Our Agricultural Holdings Act specialists are Alan Plummer and Caroline Gumbrell. Get in touch if we can help.